A few weeks ago I shared with you how I was inspired by Special K’s new #OwnIt campaign to start being nicer to myself. That I was going to honour my body and #OwnIt instead of punishing it when things didn’t go the way I wanted, and I wanted you to do the same. Today I’m back to share what changes I’ve made, and how I #OwnIt. 97% of women have an, “I hate my body,” moment every single day. Are you one of them? Statistics tell me you probably are. And it doesn’t have to be just hating something about the way you look. 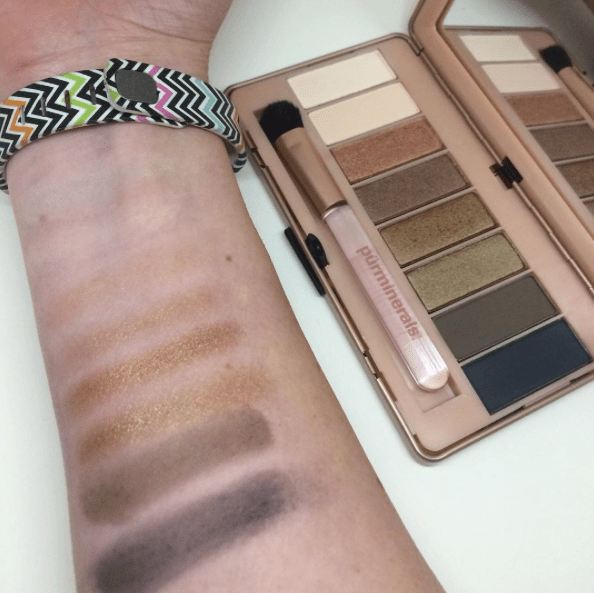 More time than not the things I hate about my body are internal things – things you can’t see, but I can feel and have to deal with on a daily basis. I’ve got a whole host of “stupid” body parts I can hate on without ever needing to look in the mirror. My stupid lung, digestive system, hormone levels, and fibromyalgia to name a few. But what good does hating on these things really do? I’ll tell you, it is as good as hating the way your arms look, the size of your chest, or the circumference of your stomach – no good at all. So while I think the #1 purpose of the #OwnIt campaign is to learn to love yourself on the outside, I’m taking it a little bit further and trying hard to love my inside as well. How do I do that? By making sure I am doing what I need to do to take care of myself. I’ve been really lax about taking vitamins this year, so I went out and bought some gummy vitamins (because I knew I wouldn’t forget to take my vitamins if they reminded me of candy! ), and have started having smoothies regularly again. And while I try to always make time for breakfast, there are days when I just don’t feel like making it before heading out the door. 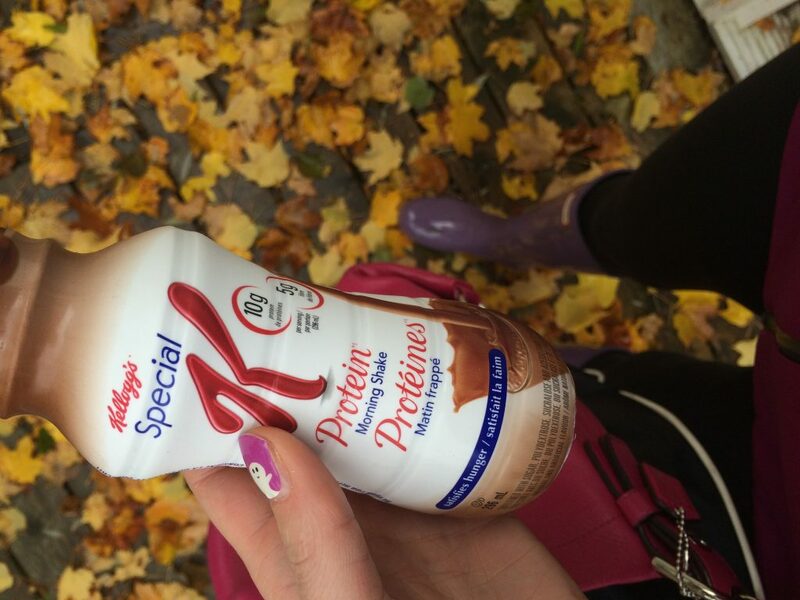 When those days happen I am happy to have products like Special K’s Protein Morning Shake to grab on my way out the door. That way I can make sure I’m still getting the protein I need to start the day without holding me up or making me late for my first class. It can be easy to say, “I don’t have time for breakfast,” but we can all keep things like this on hand for those grab and go moments. As someone who doesn’t usually like protein shakes, these are really good! 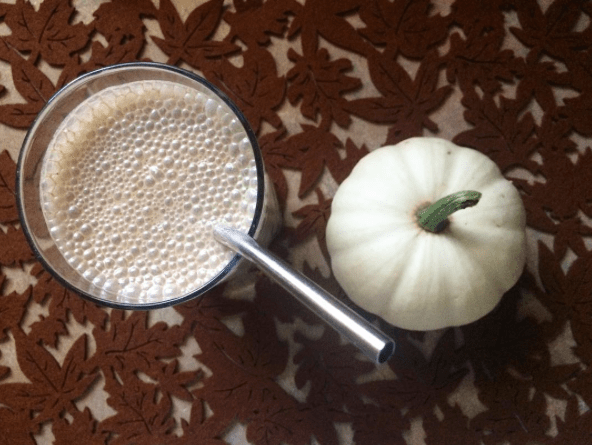 They aren’t chalky like others I’ve tried, and remind me of the instant breakfast drinks I had as a kid. Last week when I could feel I was coming down with something I cancelled two classes to allow myself more time to rest – something I would not have done in the past. I still ended up with a chest cold, but who knows how much worse it would have been if I hadn’t allowed myself that extra rest? Being a fitness instructor can be hard on the ole body, and one thing I’ve learned is when my body screams at me that it needs rest, I better listen to it. I’m also really trying to see the good – no the amazing – things in everyday life. 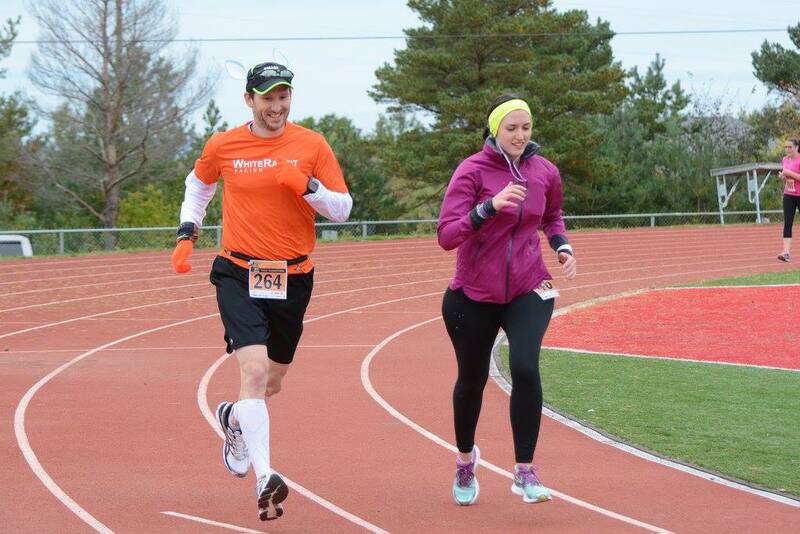 Like this photo that recently surfaced from my half marathon. It’s a shot of me in the last probably 10 meters of my race. The first time I saw it I started right in pulling every piece of it apart, as we women generally do. But now when I look at it I can’t help but think how good I look for someone who has run 21 kilometres! I don’t look like I’m dying, I’m clearly still running, and I *almost* have a smile on my face. That is pretty freaking fantastic. Not only that, but I got my own personal pace bunny to take me to the end! Now when I see this picture I feel proud. Proud that I was able to run a sub 2:30 half marathon with (once again) very little training, and I did so uninjured and happy. Now I can look at it and feel nothing but pride. It’s easy to tear apart the way you look. We look at ourselves through a magnifying glass, while the rest of the world looks at us through a portrait. We see only the worst, they see only the wonderful. Wouldn’t it be nice to see yourself through someone else’s eyes? Stop shunning the camera away when people want to take your photo. 40 years from now you’ll wish you had more pictures of yourself with your family and friends, not less. The next time you achieve a goal in life, celebrate buy buying yourself a new piece of clothing, jewellery, or something else you can enjoy for a long time – instead of a celebration meal that is gone almost as soon as it starts and may very well leave you feeling sick and gross. When someone gives you a compliment respond with, “thank you,” instead of trying to downplay it or shrug it off. And then pass it on – you got a compliment so give one to someone else! And instead of focusing on the parts of your body you hate, why not give them a little extra love? You can’t overcome hate with hate. You overcome hate with love. The sooner you start to embrace those “jiggly bits” as Bridget Jones would say, the sooner you will truly begin to #OwnIt all – the good and the not so good, the sooner we as a population can take that statistic from 97%, down to 0. 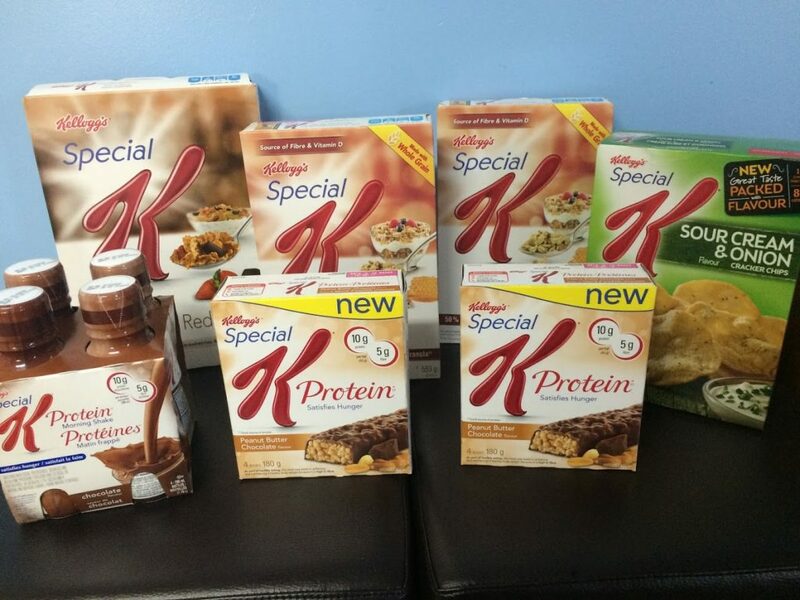 Special K wants to help one of you #OwnIt by giving you a Special K gift basket valued at $150! To enter: Comment below to share what you do or will do to ditch your doubt and #OwnIt! random.org and contacted via email. The giveaway has now closed and a winner has been chosen. 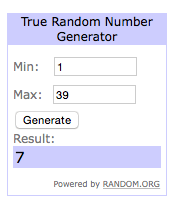 The winner is comment number 7! I talk to myself the way I would talk to a close female friend. I no longer have the negative self-talk about my weight or body image because there is no way I would talk to someone I care about like that. It’s so funny, I actually bought gummy vitamins recently for the same reason too. And I have DEFINITELY been better about taking them. In terms of ditching my doubt, I think I just need to stay as active as I can and try to add in activities to keep me motivated–I always feel better about my body after I’ve put it to work! I am going to make sure that I don’t talk negatively about myself in front of my children and grandchildren! Instead of looking at the excess skin, I look and realize that I lost over 100 pounds and I’m much healthier and #OwnIt! I can focus on all the positive. I started strength training and keep putting myself down when I miss reps or don’t advance. Then I think about it and how it is all part of how you get stronger. Atleast I am trying and I #OwnIt! I would like to try and stick to a regular walking routine. I want to do this to improve my overall health. I am not caring about my waist size or what the scale says I’m concentrating on being stronger and how I feel inside! I know I need to take more time to take care of myself and working out is the best for my emotional and physical health! I try to accept all of the flaws and jiggly bits that I see in the mirror, and definitely teach my kids that they need to love themselves. I’ve been looking in the mirror and trying to see myself as my daughter sees me. A kind face, strong body that can lift heavy things and carry around a 3.5 year old and also run around and play. I #OwnIt now most days! I have begun having more fun with my workouts and appreciating what my body CAN do! I am looking after myself with healthy food-as-fuel and finding joy in the world around me. I have been working at looking at myself in the mirror, really looking not just glancing and being ok with who I see. I will put together a fitness routine for the winter so I stay in shape. I have always found it harder and get lazy in the winter. Not this years! I would say that I focus on taking care of myself. I try to nourish my body because it makes me feel better, rather than the way it makes me look. I own it by focusing on how strong I am. Running has made my legs solid and capable of amazing things and I’m proud of that! I will own it by going to the gym in between and while your classes are cancelled. I bought vitamins today and I bought a new greens protein that I must say tastes pretty good even with a cup of spinach added to it. Go me!!! I’m terrible for looking at photos (especially race photos) of myself and seeing the negatives first. I’m trying to now focus on the accomplishment of rather then the looks. I try to #ownit by eating well, hydrating, enjoying a peaceful cuppa, and working hard to banish negative self talk. Running Helps me believe too. Could ditch my doubts by not looking in the mirror. I can’t wait for winter to go skating. outside.